Stephen Halker: "T" shirts. So hot right now. Masashi Kawamura turned 5 classic fonts (Helvetica, Caslon, Baskerville, Courier, and Cooper Black) into t shirt silhouettes. 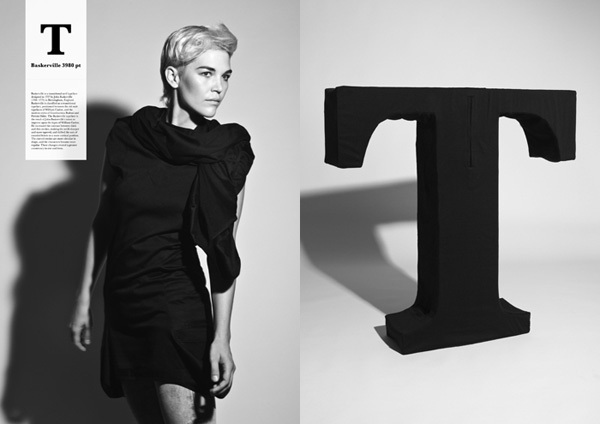 I love the way the arms of the T are used as a scarf. The Cooper Black one isn't that bad neither.